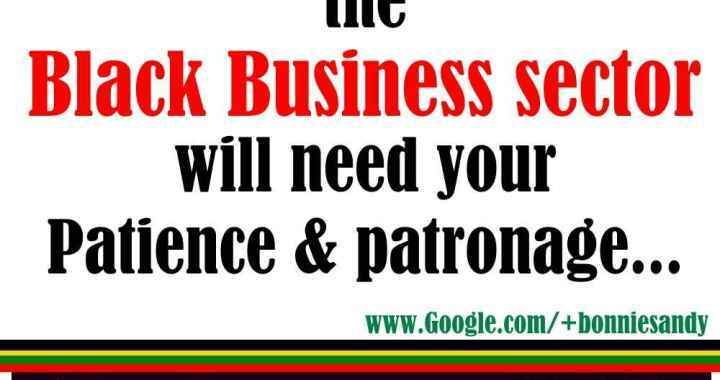 Understand this after years of neglect the Black Business sector will need your patience and your patronage. Understand this after years of neglect the Black Business sector will need you to be patient as well as your your patronage. Be open to making deposits or paying up front, most black businesses need the cash advance ..